Quantities on all Outlet products are limited. If any products are out of stock, they may be available for print on demand. Call for information. 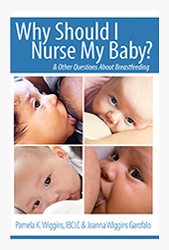 This book answers moms most common questions about breastfeeding. $2.50 $1 per book. 60% off! Sold only in multiples of 25. Call to confirm available quantities. Eight titles of tri-fold pamphlets with information and advice. Available in English and Spanish. $11.25 $8 per pack. 28% off! Sold only in packs of 25. Looped to repeat content. Perfect for waiting rooms and hospitals. Every disc features both English and Spanish! $40 $10 per DVD. 75% off! An abridgement of Why Should I Nurse My Baby? 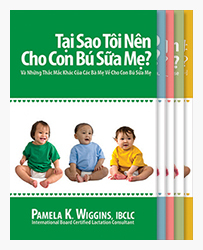 available in Vietnamese, Russian, Korean, Creole and Chinese. Getting Started Guide full details. $2.25 99¢ per book. 56% off! 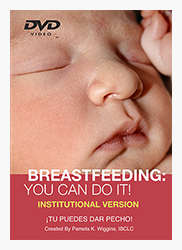 Useful tips and ideas on six breastfeeding topics. Bilingual, front English and back Spanish. $5 $4 per pack. 20% off! 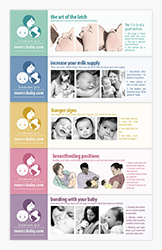 Simple visual reminders of breastfeeding principles. Available in English and Spanish. $6.25 $3 per pack. 56% off! 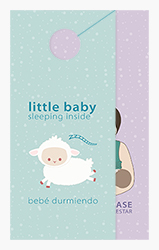 This cute door hanger gives mom and baby the privacy they need. Bilingual in English and Spanish. $10 $7 per pack. 30% off! 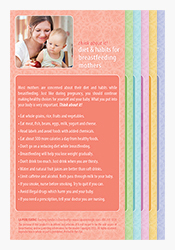 10 Tips About Weaning gives information, support and advice to help moms with weaning. Tear Off Sheets full details. $15 $10 per pad. 33% off! Sold only pads of 50. 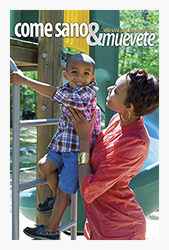 Helps moms know why and how to plan ahead for emergencies. Available in English and Spanish. 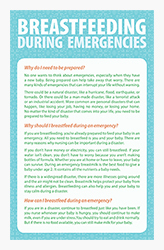 Emergency Tip Card full details. $5 $3 per pack. 40% off! A 32 page booklet with simple articles about eating right and being active. Spanish only. eat right & move full details.